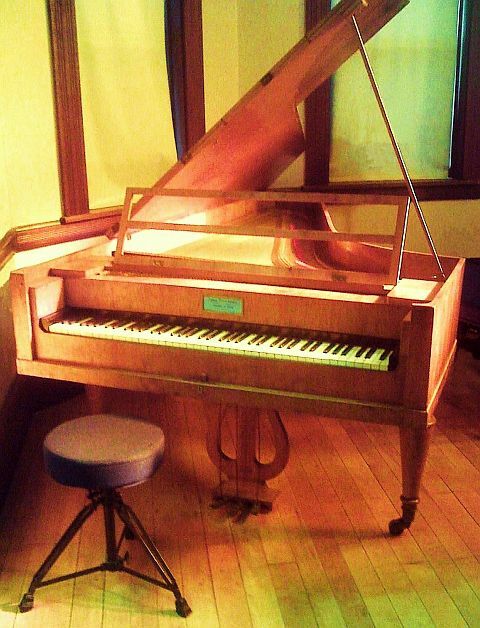 Bösendorfer c.1828-1832, Vienna. 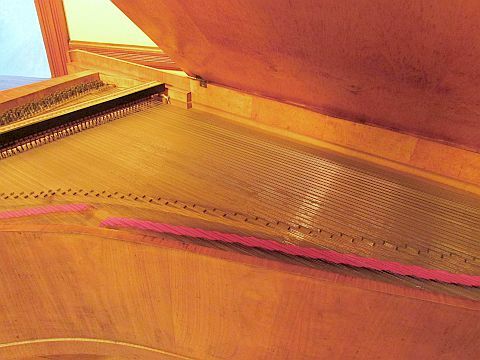 Six and two thirds octaves, CC-g4. 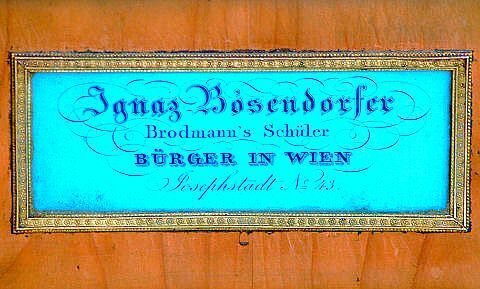 The name label on this piano reads, in part, "Ignaz Bösendorfer, Brodmanns Schüler". 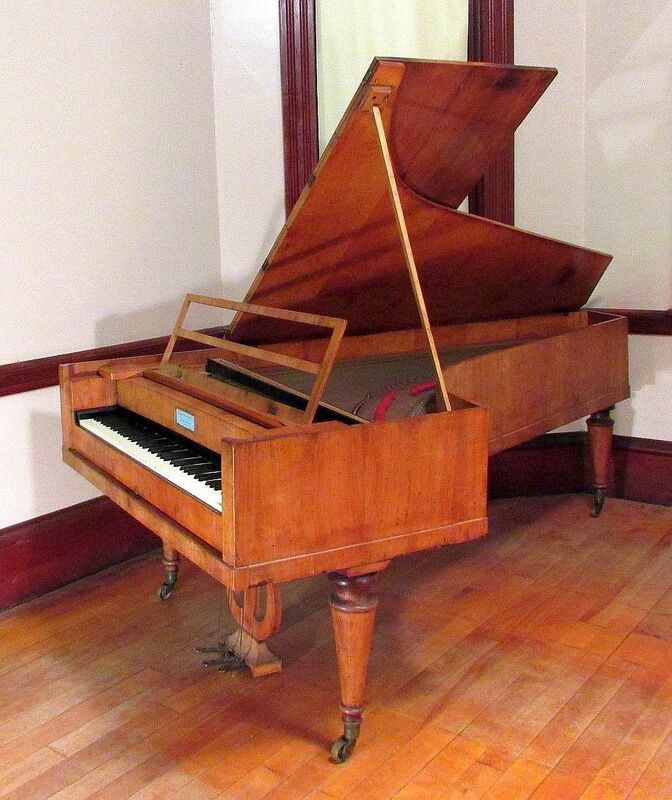 This suggests the piano was made during the period just before Bösendorfer (who had worked his way up in master builder Joseph Brodmann's shop from apprentice to foreman,) took over the shop upon Brodmann's retirement. Slightly later Bösendorfer piano labels say "vormals Brodmann" (formerly Brodmann), indicating that the transition to new ownership was complete.